Edward Pelham McGehee was born January 21, 1869. The McGehee family, of Scotch descent, had came to the colony of Virginia before the Revolutionary War. 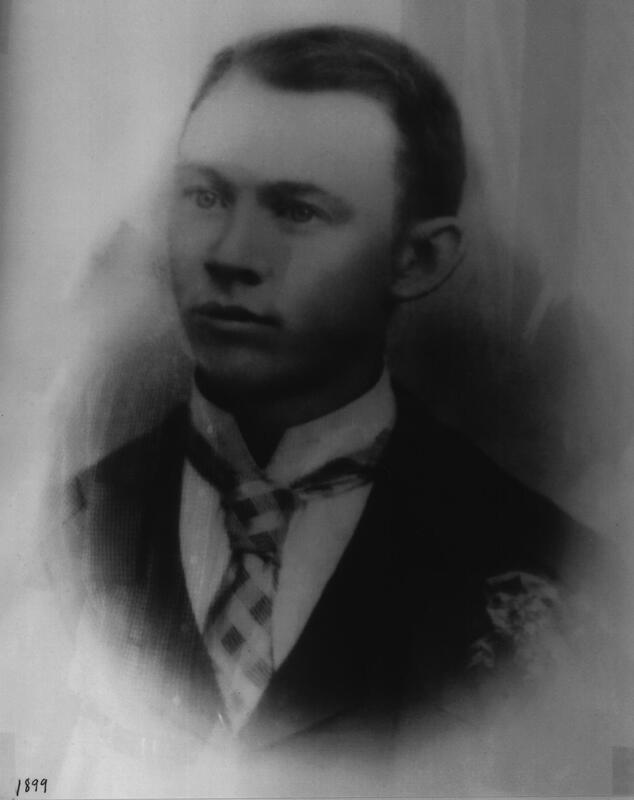 Edward Pelham’s father, Thomas Madison McGehee was a mechanic. During the Civil War Thomas served as a Captain in the Confederate Army under General Hood. In 1859 he married Mary Spangler (of Irish and English descent). The couple resided in Leighton, Alabama. Edward Pelham was the first of their five children. With his new diploma, Dr. McGehee returned to his hometown of Leighton to practice medicine for five years. In 1899 he left Alabama to relocate in Arkansas. In route aboard a Mississippi River steamboat, Dr. McGehee was stranded after the vessel sank when caught in a flood. He made his way to the small town of Lake Village, Arkansas (pop. about 1000) where he set up a medical practice and contracted as the Missouri Pacific’s Railroad doctor. During the early years of practice when making house calls or commuting to civic or medical meetings he “traveled by horse back, buggy, skiff, hand cars on rail track, or bicycles” * His first car was a Hupmobile in 1912. In 1904 Dr. McGehee married Sue Gordon McMurry, the daughter of Captain and Minnie Martin McMurry. The couple had one son, Edward Pelham Jr. who became a doctor (graduated University of Arkansas Dept of Medicine, 1941) and two daughters, Minnie and Elizabeth. Elizabeth married Dr. Melvin Kincheloe. Minnie married Dr. John H. Burge and had a son who became a doctor (John Pelham Burge, M.D., (graduated University of Arkansas College of Medicine 1961) thus producing a family of three generations of doctors. Dr. McGehee Sr. opened a small infirmary in 1910. It began with four rooms, a sterilizing room and an operating room. Gradually it grew, through the purchase of a large Victorian style house, and other small houses, one of these for African Americans, to become the McGehee Hospital. A family home was built across the street, though Dr. McGehee also kept an apartment in the hospital to be with obstetrical patients in labor or critically ill patients. In the early years food was prepared in the doctor’s home, supervised by Mrs. McGehee and transported to the hospital on hot bricks in covered roasters. The devastating 1927 flood forced a temporary move of the patients, staff and equipment to higher ground while damage was repaired and renovations were completed (including adding a kitchen, dining room and wards). At that time, the houses/additions were covered with brick to give the appearance of a total hospital unit of 15,000 sq. ft. Dr. McGehee trained local girls as his nursing staff. In 1947 he employed Penny Winsett, R.N. as his nursing supervisor who continued at the hospital until it closed twenty years later. Over the years Dr. McGehee had traveled to Mayo’s clinic in Rochester, Minnesota to take courses in surgery. His clinic became known as the “Mayo of the South”. It is reported that in his first sixteen years in Arkansas he performed 3600 major surgeries. Many young aspiring surgeons came to study under him. He had the first x-ray lab in Arkansas and installed the first air conditioner in a hospital in Arkansas. secretary-treasurer. He was also a respected citizen of the area and served as President of the Lake Village School Board for eight years. Dr. McGehee’s son, Dr. E.P. McGehee, Jr., practiced medicine from an office in Lake Village. His son-in-law, Dr. John H. Burge joined him in his hospital practice in 1929. Dr. Burge’s son, Dr. John Pelham Burge, today continues his grandfather’s legacy as a surgeon in Lake Village and as a leader in the State Medical Society. Dr. McGehee died on January 9, 1950 at the age of eighty-one of cancer. He is buried in Lake Village Cemetery, Arkansas.